Egg Films' Zwelethu Radebe has directed Vuka, a short, seven-minute film that aims to raise awareness for '#BeTheMentor', part of South African Breweries’ 18+ campaign to prevent underage drinking. The film was conceptualised by Joe Public United’s team consisting of executive creative director Roanna Williams, creative director Markus Botha, art director Shalisha Hira and copywriter Haydn Corke, under the guidance of chief creative director Xolisa Dyeshana. Originally intended for flighting solely on social media channels, it has been edited into a trailer and seven teaser spots and will also be screened in cinema and on television. 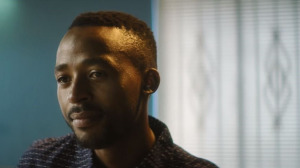 "Zwelethu is an exceptional director with an uncanny ability to get the best from everyone he works with, from actors to post-production editors, and everyone in between," says Egg Films producer Saskia Rosenberg Haak. "For Vuka, he was supported by Mandy Sewell of Casting Initiative, who invested considerable time and effort to find a very talented cast." "Also in his corner was Fabian Vettiger, a DOP with so much experience and an eye that only ever elevates a production; Post Modern’s William Kalmer, who was so enthused by Vuka, he far exceeded his brief; and Grant Booth, whose score is a triumph," adds Haak. "The client also deserves kudos for being brave enough to give us carte blanche and for trusting that we’d deliver something that would contribute positively to the very laudable 18+ movement," she says. Vuka was shot in over two days in Kliptown, Soweto, and was in post-production for a week. For more information, visit www.eggfilms.tv. You can also follow Egg Films on Facebook, Twitter or on Instagram.